For many brides-to-be wedding planning is both dreaded and enjoyed. For those on a budget, hiring a wedding planner is out of the question. 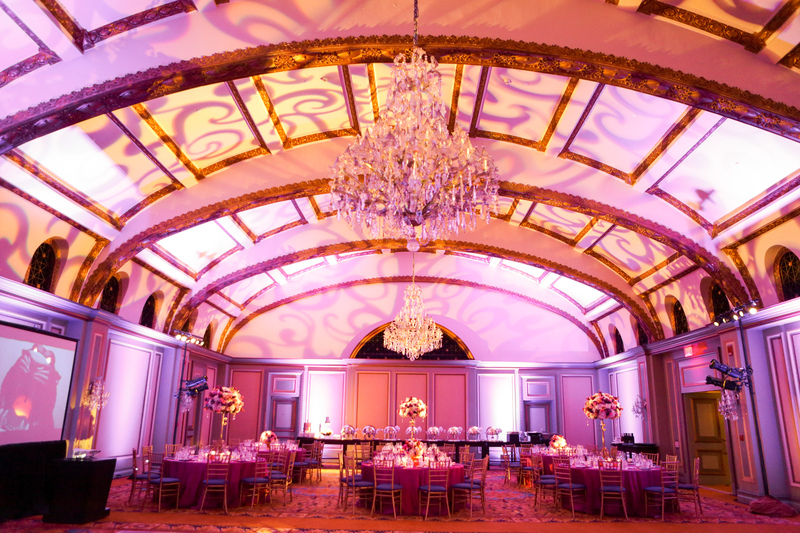 While wedding planners can relieve some of the stress of planning, they can be quite costly. Enter the day-of planner. When booking my wedding venue for my wedding this past year, the hotel informed me that they required each couple have a “day-of” planner. I had never heard of that before, and was stressed by the idea of adding on an additional expense. As I did research I felt more comfortable with the idea, and was actually relieved the venue had suggested it. Day of wedding planners are great for brides who want to plan their own wedding, but that need help with things like crowd control and vendor management on the day of the wedding. Through my research I came across Wish, Wonder, Dream a Los Angeles based wedding planning company. They had earned great reviews on The Knot and Wedding Wire and so I began the booking process. I was very pleased by my communications with them, and excited by their planning packet. In order to book a day-of planner, you’ll need to put down a deposit. Most will ask for half of the payment up front and half closer to your wedding date. Wish, Wonder, Dream allowed me to pay by credit card which was a huge relief. Others may require a cash or check deposit. What was so great about Wish, Wonder, Dream was that they provided me with guidance from the very beginning of the process, not just the day or month of the wedding. They provided me with a very useful checklist which outlined when things should be booked and taken care of in order to avoid any fire alarms or missed deadlines. When we were about 60 days from the wedding we had our first meeting with our coordinator. I loved the Pasadena office. It was pretty and full of all things bridal. I felt like a bride, not just a client. Our coordinator was very friendly and helpful. As the wedding got closer our coordinator worked with us to establish timelines and go over things like our guest list. She came with us to our tasting, which ended up being a great run through. While we enjoyed our tasting, our day-of coordinator discussed details I hadn’t thought of with the venue, making sure we knew things like the color of the table cloths for the cocktail hour and whether or not we would be getting candles and signage. The day of the wedding came, and that was pretty stressful. You don’t know how busy you will be and how quickly time will fly that morning. One thing to note about day of wedding planners, is that they aren’t you. If they haven’t worked with you to plan your wedding, they won’t know the ins-and-outs of every detail you have planned. There were things that went wrong at my wedding, like the programs not being folded or placed in a location where guests could find them and no management of the photographer. Our grand “first dance” entrance was muddled by the bar making the last call for drinks, and things of that nature, but for the most part our wedding went smoothly and everything was executed beautifully. Make an inventory list: I provided my coordinator with an excel sheet outlining every item I was bringing into the wedding. That way the coordinators can make sure your items are returned to you at the end of the night, and also that you don’t forget to bring anything to the venue. Make a photo list for the photographer and you: I provided my day-of planner with a list of all the photos I wanted before, after and during the wedding. She provided the photographer with this list, but with no one there to manage him many of the shots were missed. Keep a list and give it to your Maid of Honor. She can keep the photographer on track when you’re trying to enjoy the moment. Go over everything with your planner before the day-of: I had planned to go over instructions with my planner the morning of the wedding. She was busy managing other things, and came in to pick up all the decor while I was getting ready. There was no time to explain and go over instructions for where I wanted things placed, where they needed to go, etc. Don’t make assumptions: Don’t assume your planner will do anything. Make sure to go over your expectations and what services the planner will provide. They can’t read your mind, as much as you wished they could. The great thing about day-of coordinators, and Wish, Wonder, Dream in particular, is that they are affordable. Our coordinator provided me with a lot of useful advice and took a lot of stress off our shoulders by managing vendors and guests. It was definitely worth the cost. Will you book a day-of coordinator? Let us know why or why not.